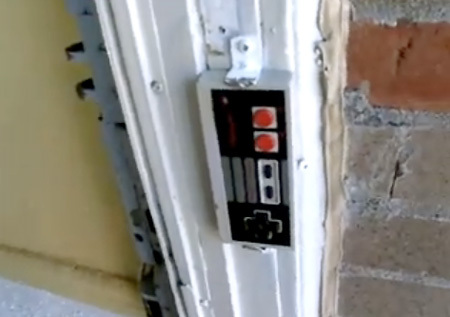 An intrepid Nintendo fan hacked a wireless doorbell together with a NES controller. It looks really cool, I just wonder which button actually makes the door ring. How about a Super Scope for a garage door sensor? We all know it is a short night when you go to a guys house and he's got that as a doorbell.